The Visol Ridge is a beautifully crafted, large cigar humidor. Inside is a humidifier and hygrometer if you choose to install them to the box. The outside comes crafted of 5 different and unique woods with a beautiful varnish finish. The Interior is cedar lined, helping keep moisture inside and comes with a single divider to help separate cigars. The felt-lined bottom prevents the humidor from scratching or scraping any surface you decide to set it on. 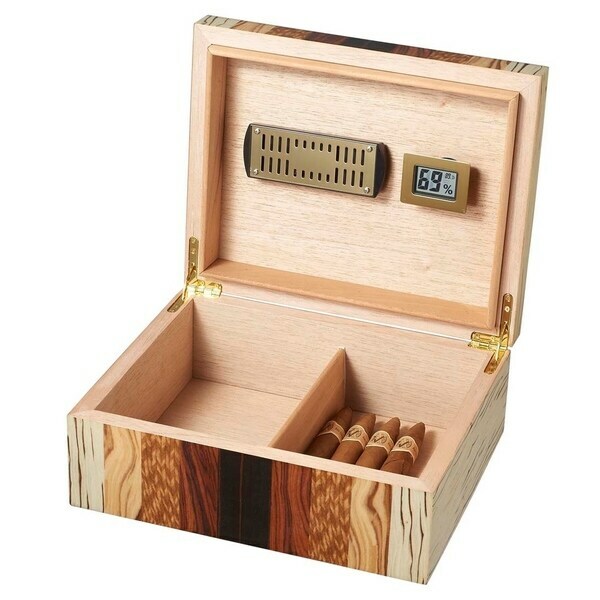 Store your cigars in style with the Visol Ridge!